Today we want to highlight an awesome veteran promoted company ran by power couple Niki Jensen and Austin Stanton! 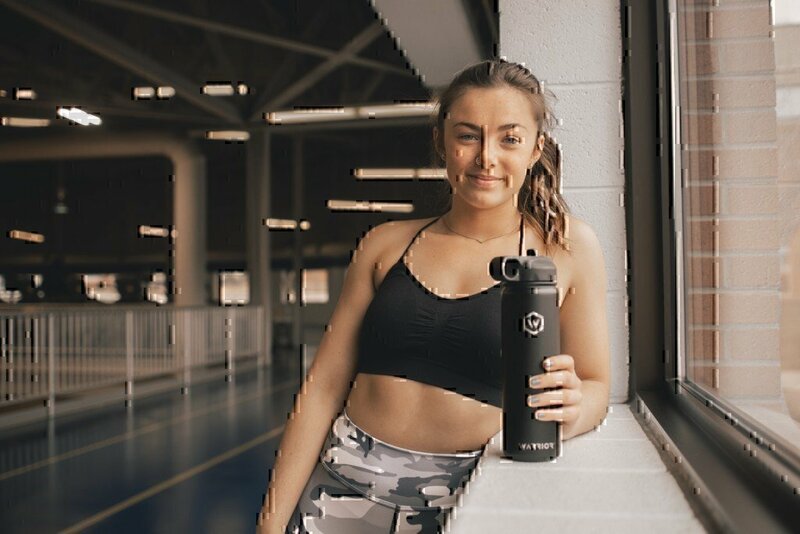 As the owners of Warrior Flask, they designed the brand around the military community. They provide free water flasks to units around the world, deployed or stateside. When you buy yourself a flask or one for a friend, you buy one for a soldier, sailor, marine or airman. 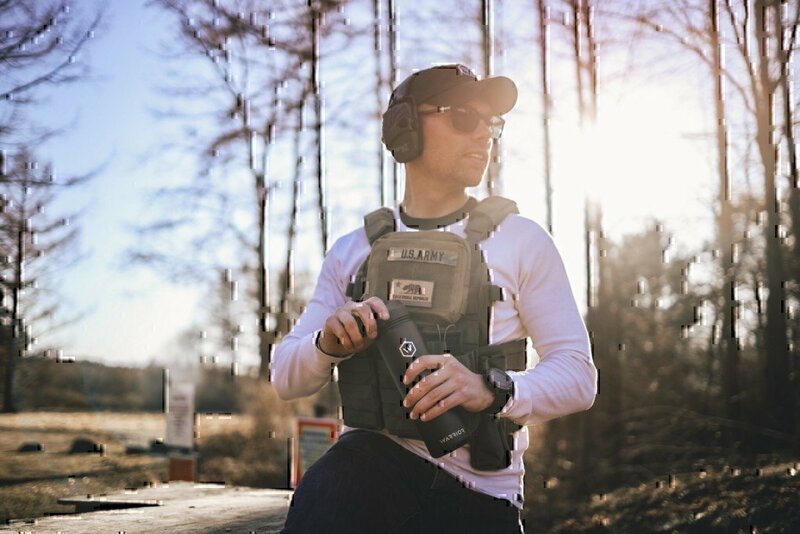 I spoke with Niki to get her to take on business, connecting with veterans, and the tremendous growth they have had in the past year. What is your background with the military? Who inspired you from the military if you did not serve yourself? I grew up in a very military focused family. Both of my grandparents, and cousins served. My cousin Steven specifically inspired me from a young age. He joined the military and enlisted as a Marine. He went to combat on multiple deployments during his time in the service. The military is very dear to me and I look up to everyone who serves or has served. I feel that joining the military takes a special person, who is brave and selfless. That is why I wanted to start a business focused on the military. From a very young age, I remember sending care packages to men and women who were deployed and always had the utmost appreciation for them. How did you start your business and what veterans did you work with to learn more about the community? Like I stated previously, I had many family members and friends that served in the military. I was immersed in it at a young age, and always had an understanding and appreciation for the military and veteran community. Although I had previous understanding it really wasn’t until Warrior Flask where I truly learned about the community. 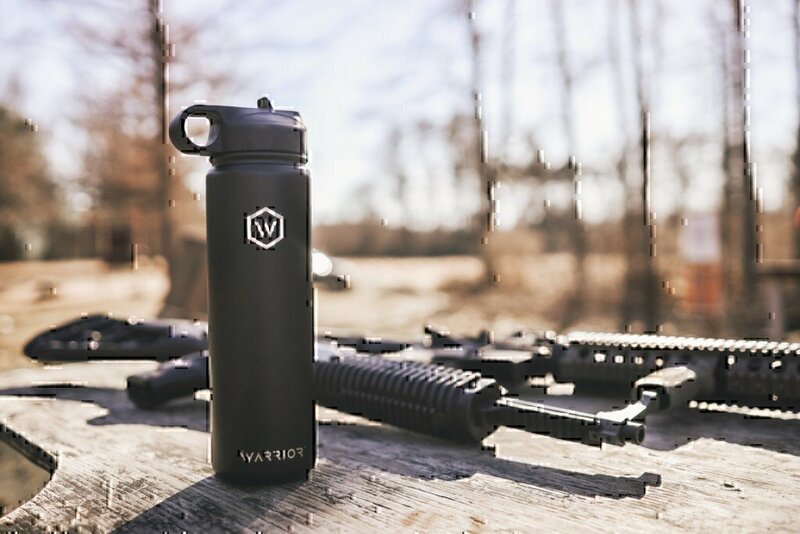 My husband and I started Warrior Flask with a mission to give back. We thought to ourselves, how can we offer a great product, and also do something for those men and women who sacrifice so much! The idea came to be where for every bottle sold, we would give one back to the military, and more specifically a unit. My husband I complement each other very well. He had the idea to start offering these bottles, which at the time were gaining traction and becoming popular. I came up with the idea to give back to the military, and encourage others to recognize those who serve. The two ideas formed one, and that’s how Warrior Flask was started. What are some fun facts about your company? Some fun facts are that we are a family run organization. Some of our family members that help out are my mother, father, and my cousin. My sister-in-law spends her summers with our office and interns for us as well. We love being able to share this business and knowledge with our family members, and we all have a great time at the office. The pride we share by giving out nearly 10,000 bottles to men and women who serve this country is what we live for. We have received so many emails and feedback from those who have received the bottles and they have explained how much a difference we have made. This means a lot to us, that we can make an impact for the better, and encourage others to as well. Another fun fact is that for every bottle sold online, you can write a note, in which we print the notes out and place them inside the giveaway bottles. Kind of like a message in a bottle! We have connected people who put their contact information on the note, and its enjoyable to see. In addition, we allow people to customize the bottles. We work with companies to offer their logos on the bottles, and we also allow people to select ranks, or type names in. We own multiple laser engraving machines in which we use to customize the bottles. What has been your biggest advice for starting a business around the veteran community? What support have you had in the past? Surround yourself by people who are veterans, or active duty if your company is focused around that. We have a great team of people who are both active, and veterans. We are constantly getting feedback from them. In addition, we are extremely transparent about our giving. We want people to know that when we say we are going to send a bottle, that we will. We send emails out each month and let people know where the giveaway bottles are going specifically, and give updates, etc. How do you and your husband work together so well? Do you face any challenges with work? We are both so like-minded and similar in a lot of ways. The challenges are that because we own a business together, its very hard to shut it off. Date night turns into a work meeting, and we are always talking about work. It’s great though because we know each other’s personalities extremely well. We know how to delegate certain tasks to each of us based on our personalities. My husband, Austin handles most of the technical work behind the scenes such as sales, accounting, etc. and I handle most of the social media, influencers, and giveaway related things. Owning a business is challenging and we have many, many tasks, but its so rewarding to be able to go to work loving what you do, and having your husband right by your side. Without each other running the company, Warrior Flask wouldn’t exist.